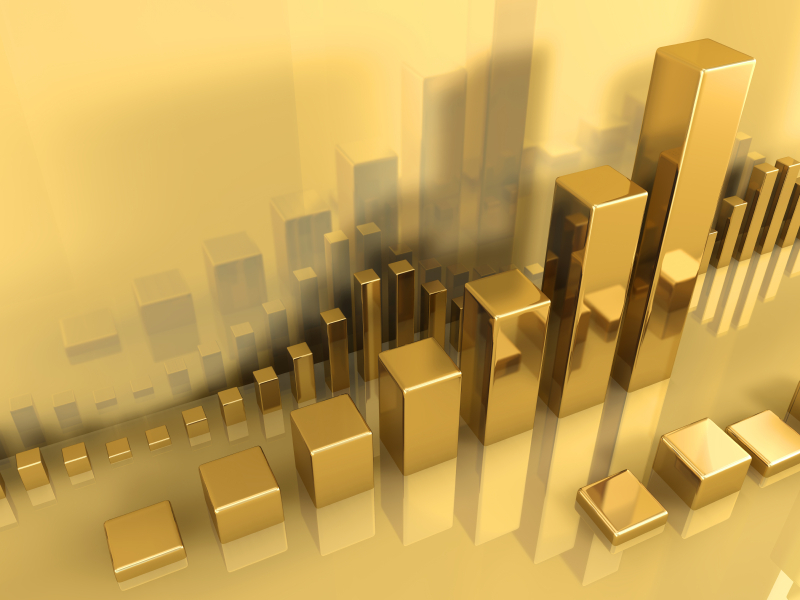 Gold continued its rally Tuesday, hitting a three-week high as investors speculated on the Federal Reserve’s next move. The Fed concludes its two-day monetary policy meeting on Wednesday. “The last several days have given investors fresh reasons to buy gold,” writes the Wall Street Journal. Spot gold rose 0.9% to $1,213.90/oz. on the COMEX, the highest price since April 6th. Gold has risen by over $30 in the last two days. As the Fed gets ready to conclude its two-day monetary policy meeting on Wednesday, investors are watching closely for any clues regarding interest rates. After last week’s lower-than-expected data regarding housing, employment, and durable goods orders, most investors are expecting the central bank to keep interest rates low until Fall at the earliest. Weak consumer confidence data released Tuesday strengthened that view, as the Fed has stated it will only raise rates if the economy shows enough strength and improvement. Consumer outlook on business and jobs fell by 0.8% and 1.5% respectively, reports the Conference Board. April’s Consumer Confidence Index measured at 95.2, down from 101.4 in March and lower than economists expected. The Present Situation Index fell from 109.5 in March to 106.8 in April. Get in on the gold rally by calling American Bullion today at 1-800-326-9598. Our precious metals specialists will show you how easy it is to own physical gold.